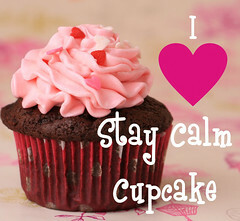 icing swirl | Stay Calm, Have A Cupcake! 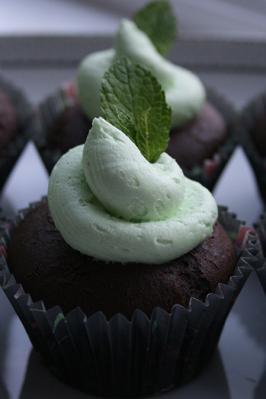 I am happy to announce that I perfected my Mint Buttercream recipe. After looking through what seemed like 100’s of online recipes, I found a few I liked and combined them. The result you ask? A really yummy, “I’d put this on anything and eat it” kind of frosting. 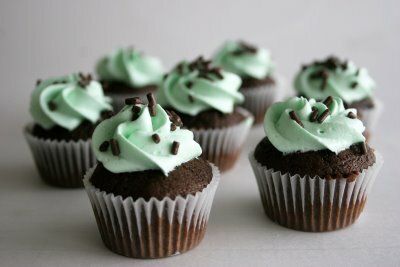 Needless to say, I made a batch of Mint-Chocolate cupcakes, ate one, and got them out of the house!! Adding one cup of powdered sugar at a time, mix in with the butter. Add the cream of tartar, food color and cool whip. Mix on medium high for another 5 minutes. 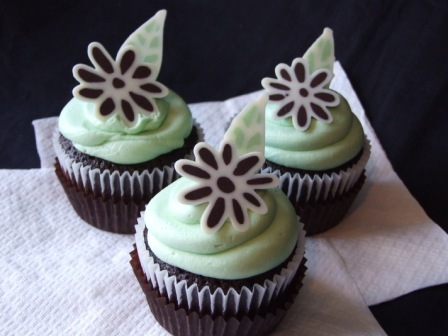 Ok, so I have to admit….I have been craving the mint-chocolate combo for about the last 30 days! There is something so wintery and “festive” about cool mint and melt-in-your-mouth chocolate. I am a HUGE fan of those little Andes mints and love a York Peppermint Patty. 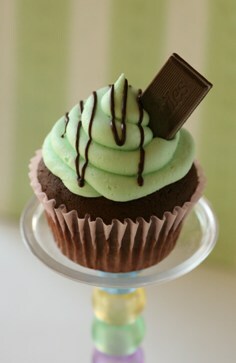 Because I love this combo so much, I have been searching for the perefect chocolate mint cupcake recipe. Unfortunately, I haven’t really found one I like. Tonight though, I am going to try a combination of recipes, add in a few of my own ideas, and then (hopefully) indulge in some yummy chcolate mint goodness. 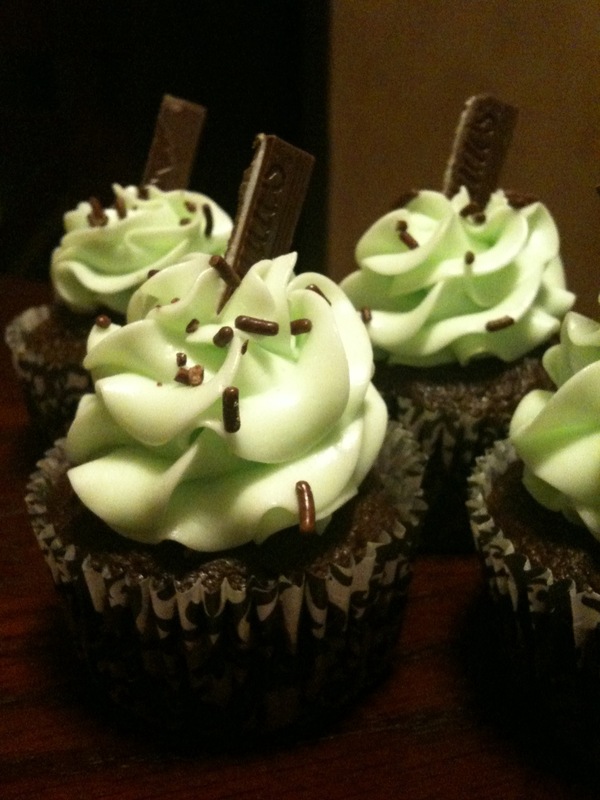 Until then, enjoy some inspiration for your own chcolate mint cupcakes. I will post the final recipe tomorrow along with some pictures of my treats. Happy Monday! Well, as happy as a Monday could possibly be, I guess. I trust everyone had a fun Halloween filled with sweet candies, fun costumes, and lots of laughter. Since I don’t have any little ones, and I’m much to old to go Trick-or-Treating by myself, I didn’t get any candy this Halloween! In all fairness though, I could have bought myself a bag of treats from Target, but It just would not have been the same 🙂 So last night I whipped up a batch of Cookies and Cream Cupcakes! They were delicious! The absolute perfect late night snack. Here’s the recipe – I hope you enjoy them as much as I do. Make the Cupcakes: Preheat the oven to 350 degrees F.
In a mixer with a whip attachment, cream the butter until light and fluffy. Add the sugar and continue to cream. Gradually add the vanilla and eggs and mix in well. Sift together the dry ingredients; then mix into the butter mixture alternating with the milk. Pour batter into cupcake paper-lined muffin tins filling them 3/4 full. Bake until puffed and firm in the center and light golden brown on top, about 20 to 25 minutes. Let cool. Mix the Marhmallow and Milk Chocolate frostings together in a large mixing bowl. 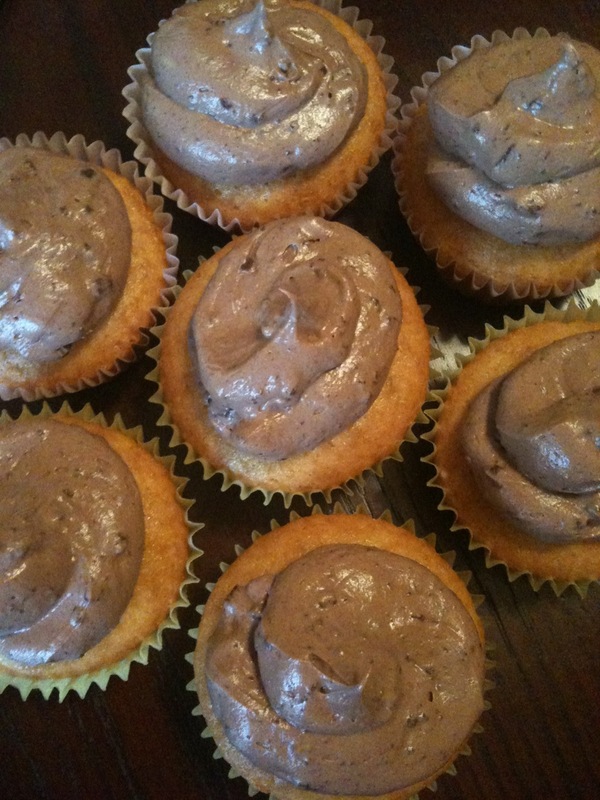 Mix until the frosting is a light brown color. Crumble the oreo cookies into very small pieces. I put my oreos in a zip-loc bag and rolled over them with a rolling pin. You don’t want large chunks, you want small crumbles. 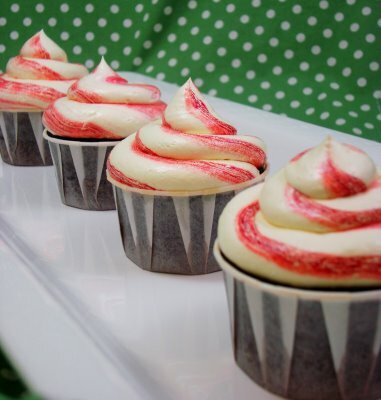 Place in piping bag and decorate your cupcakes! 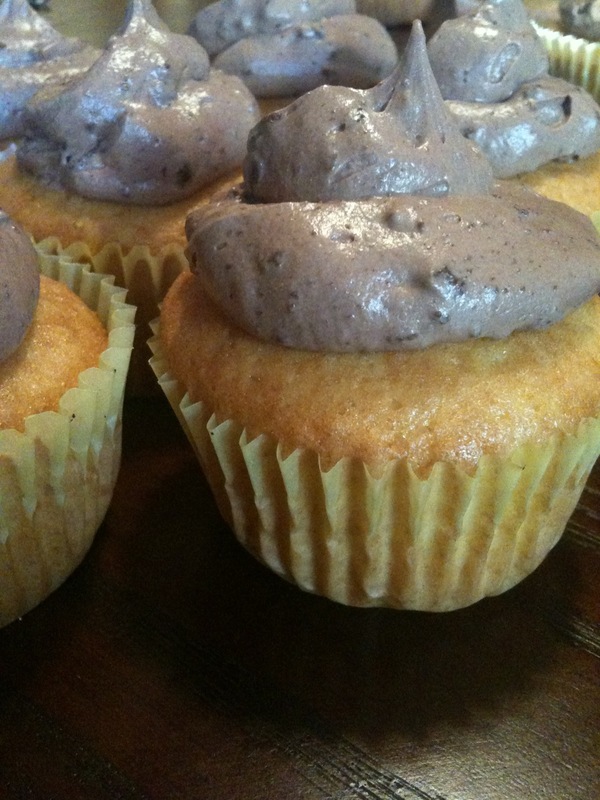 This frosting is a great one to make if you have some leftover chocolate and vanilla frosting. 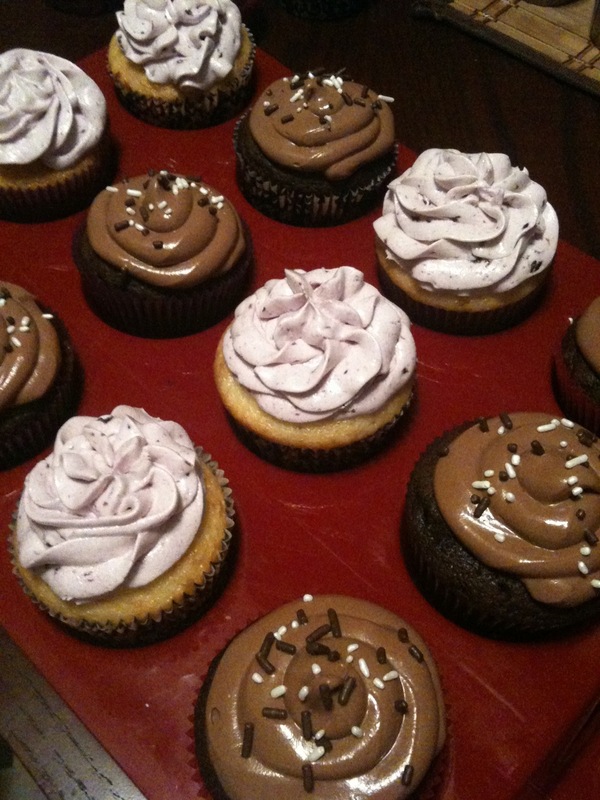 While I used Marhmallow and Milk Chocolate frosting, you could easily use any kind of vanilla frosting and mix it in wth a choclate one. I am so sorry for being absent for over a week. I have been busy traveling for work, baking for birthday parties, and celebrating my boyfriends 25th! No worries, though, I am back…and with a fabulous recipe to share! 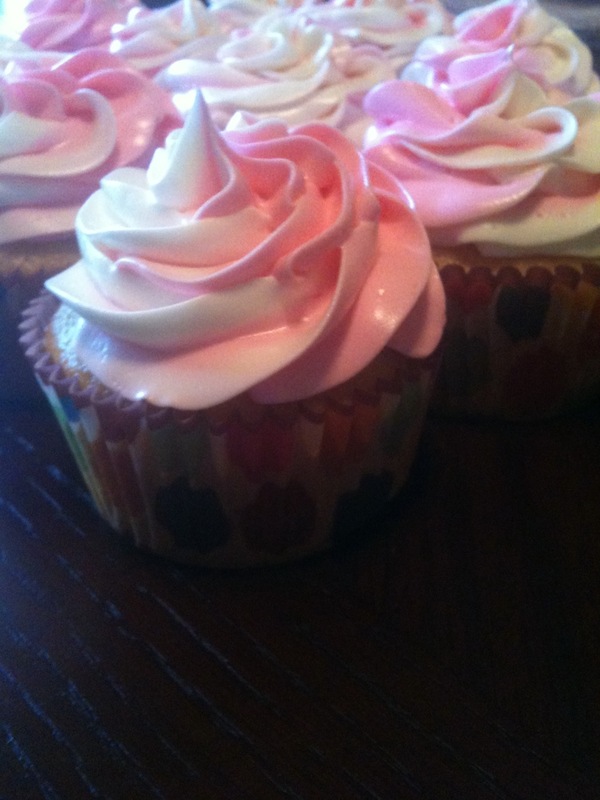 Strawberry White Chocolate Cupcakes - Yum! I made these cupcakes for my cousins birthday this month. 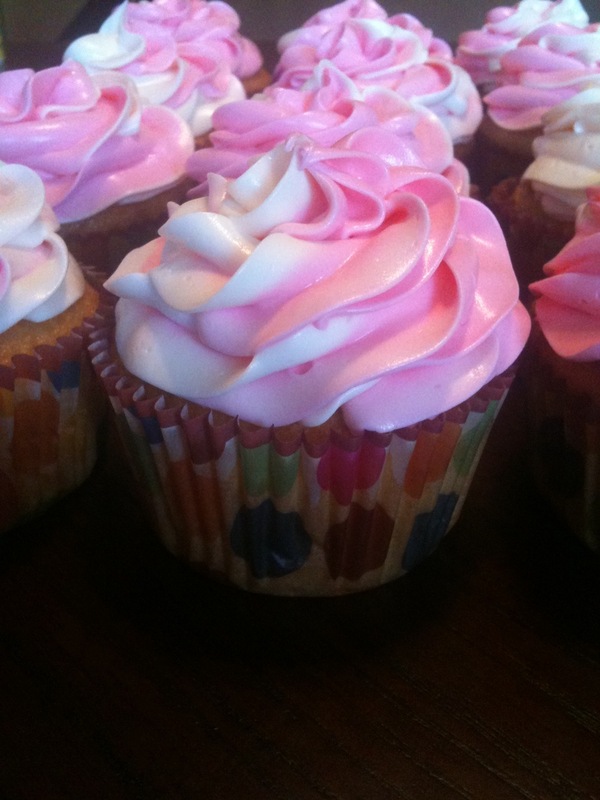 These decadent white chocolate cupcakes are topped with a yummy strawberry vanilla swirl frosting and can add the perfect touch of “girly” to any party. Sift together the 2 1/2 cups flour, baking soda, baking powder and salt. Set aside. In a large bowl, cream 1 cup butter and 1 1/2 cup sugar until light and fluffy. Add eggs one at a time, beating well with each addition. Stir in flour mixture alternately with buttermilk. Mix in melted white chocolate and 1 1/2 teaspoon vanilla. 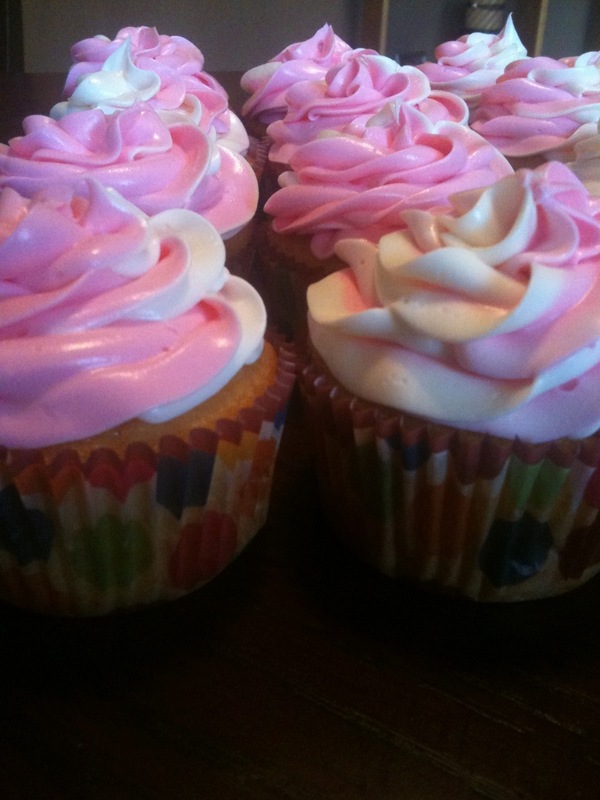 Pour batter into cupcake liners and bake for 18-22 minutes. The tops will be slighlty browned. Beat 2/3 cup of butter in a bowl until smooth and glossy. Beat in the vanilla, followed by the confectioners’ sugar. Add the cream and whip on high speed until light and fluffy. Place strawberries in the bowl of a small food processor; process until pureed. In the bowl of an electric mixer fitted with the paddle attachment, beat together butter and salt on medium speed until light and fluffy. Reduce mixer speed and slowly add confectioners’ sugar; beat until well combined. Add vanilla and 3 tablespoons strawberry puree (save any remaining strawberry puree for another use); mix until just blended. Do not overmix or frosting will incorporate too much air. 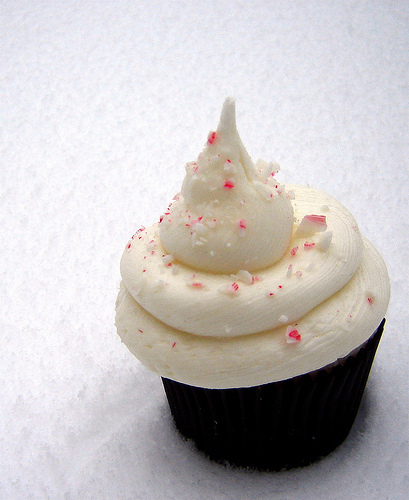 Frosting consistency should be dense and creamy, like ice cream. Til next time, Stay Sweet!! I love chocolate! So it is no suprise to me that I am obsessed with this chocolate cupcake. 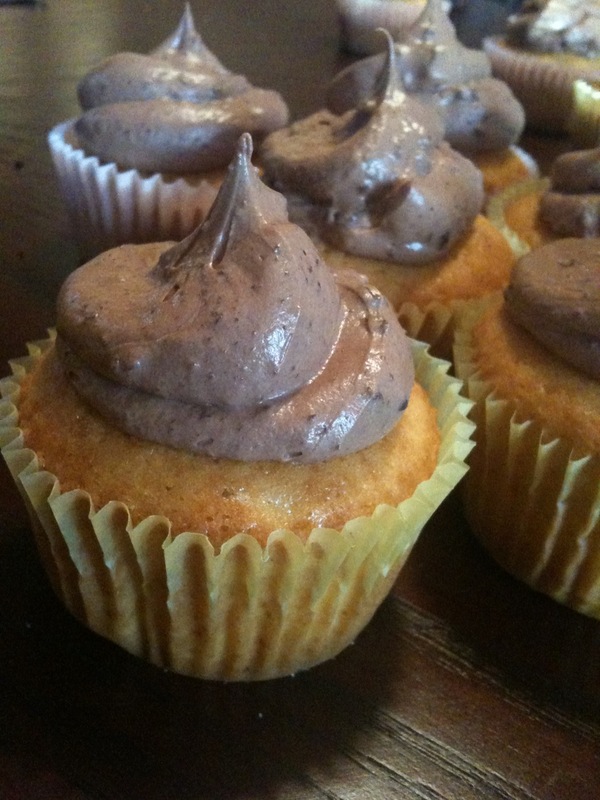 It’s a moist chocolate cupcake topped with rich chocolate frosting. The recipe is pretty simple too! 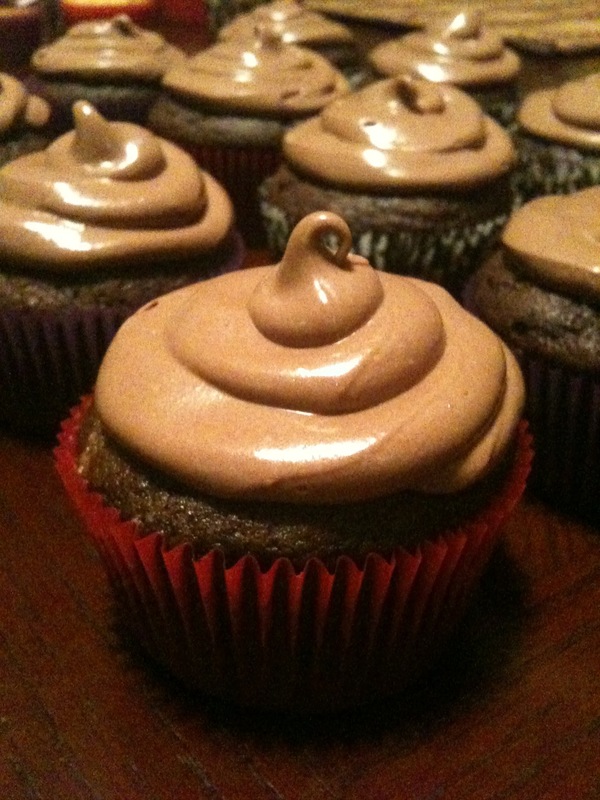 It’s an adapted version of my Caramel Chocolate Cupcakes(https://fontgirl.wordpress.com/2010/09/13/chocolate-caramel-cupcakes/) Follow the same recipe just leave out the caramels. For the frosting, I used the same recipe (in the link above) but replaced the 1/4 cup of vegetable shortening with 1/4 cup of butter. 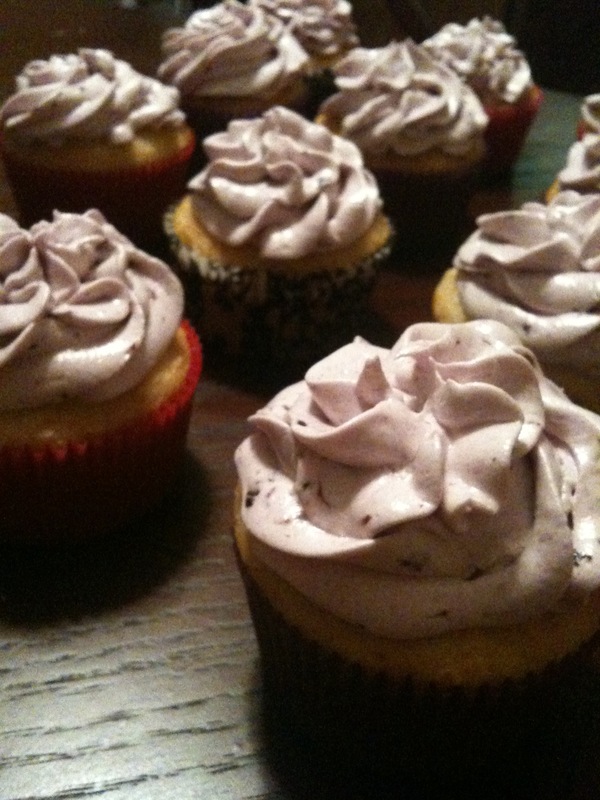 I love a recipe that can make two different cupcakes!! Now, for my French Vanilla Berry cupcakes! These cupcakes are so perfectly light and fluffy that you almost dont feel guilty for eating 3 of them in one sitting more than one. I used a traditional vanilla cake recipe and added some key ingredients. I used 1 tablespoon of French Vanilla flavoring (I like Wilton’s, but there are many brands that I’m sure will do just fine) and then I add 2 tablespoons of french vanilla cofee creamer. Weird, I know! But it works like a charm. Now, for the berry part of this cupcake! I have written about my double berry buttercream recipe in a previous post. This frosting is similiar but it is double berry cream cheese rather than buttercream. Both are so delicous, but I find that the buttercream is better for cake filling and the creamcheese is better for cupcakes. With the first set ingredients, you are going to make the berry jam. Pour berries into a pan and add 3 cups of sugar and lemon juice. Let boil (stirring occasionally) for 7-10 minutes until it starts to thicken. Cream the creamcheese and butter with electric mixer. Add vanilla. Gradually add sugar, one cup at a time, beating well on medium speed. When all sugar has been mixed in, icing will appear dry. Add milk and beat at medium speed until it appears fluffy. Refrigerate for 30 minutes before using. ** Don’t forget to sign up for the Bake It Pretty Giveaway! Deadline is October 4th. Packaged up and ready for delivery! I recently had a lady order cupcakes for her son’s 14th birthday. 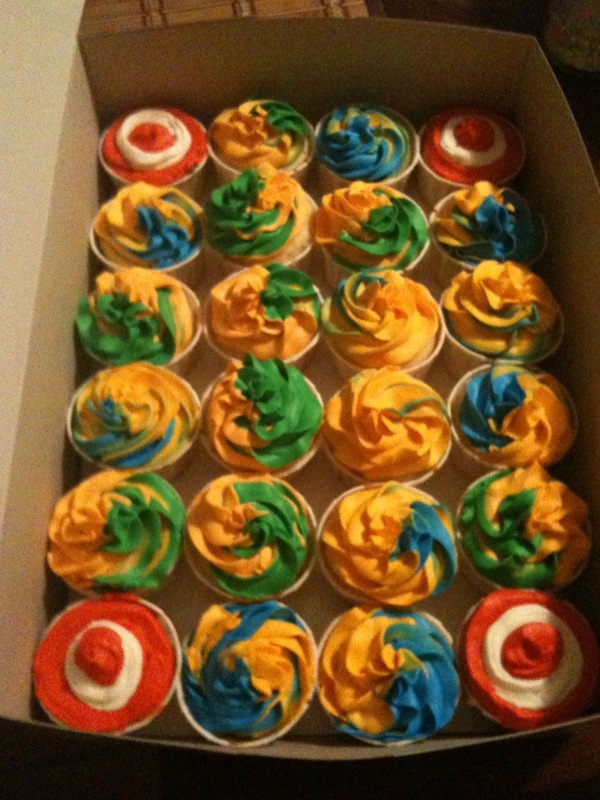 She ordered “paintball themed” cupcakes. To be honest, I was a little stumped at first. How on earth was I going to pull off, “paintball” cupcakes ?! I have never been paintballing in my life, not to mention the thought of getting hit by an exploding ball of paint makes me cringe! Luckily, I was able to think of some pretty fun ideas and the overall presentation turned out really great! 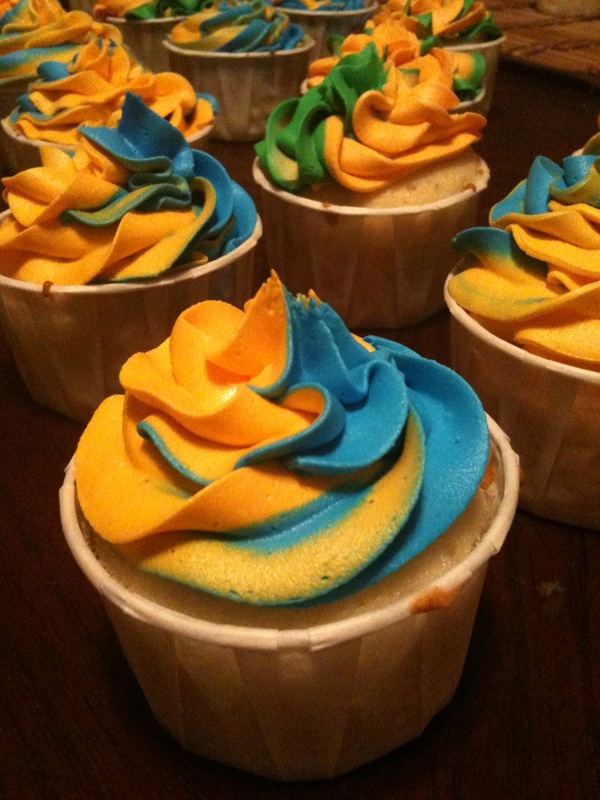 I decided to color the icing in bold colors and used a frosting trick that allowed me to pipe two colors at once. I think this gave the cupcakes a paintball feel. What do you think? To create the two-tone effect, I wrapped the blue icing in plastic wrap and rolled it into a thin tube. 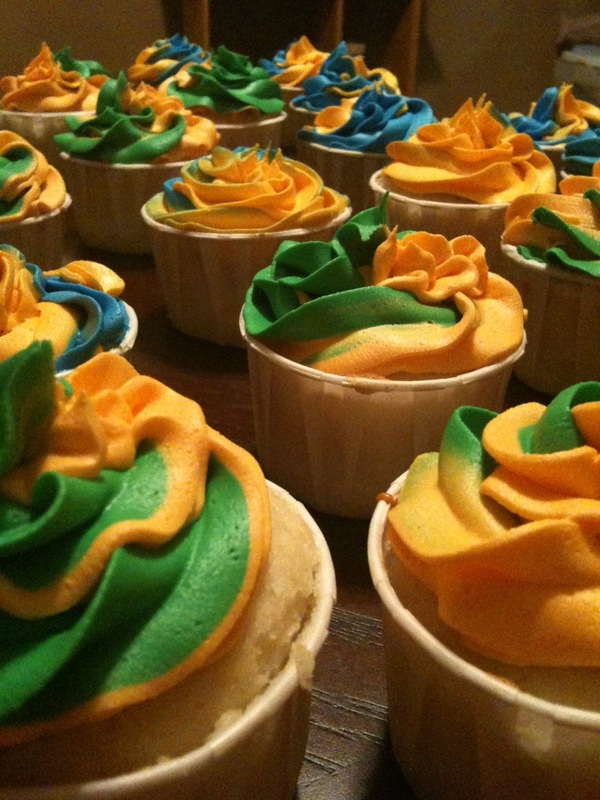 I did the same thing for the yellow icing. 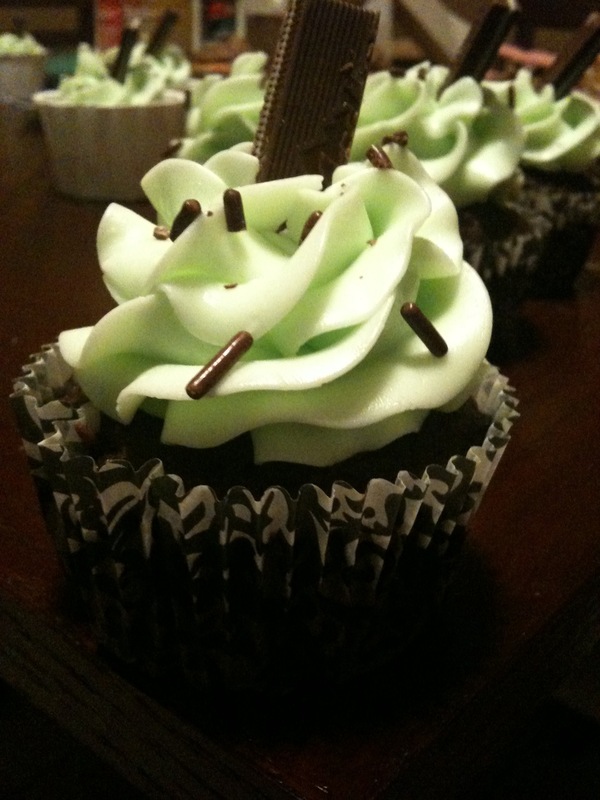 I then cut the tips of the plastic wrapped frosting “tubes” and put both colors of icing in one piping bag. 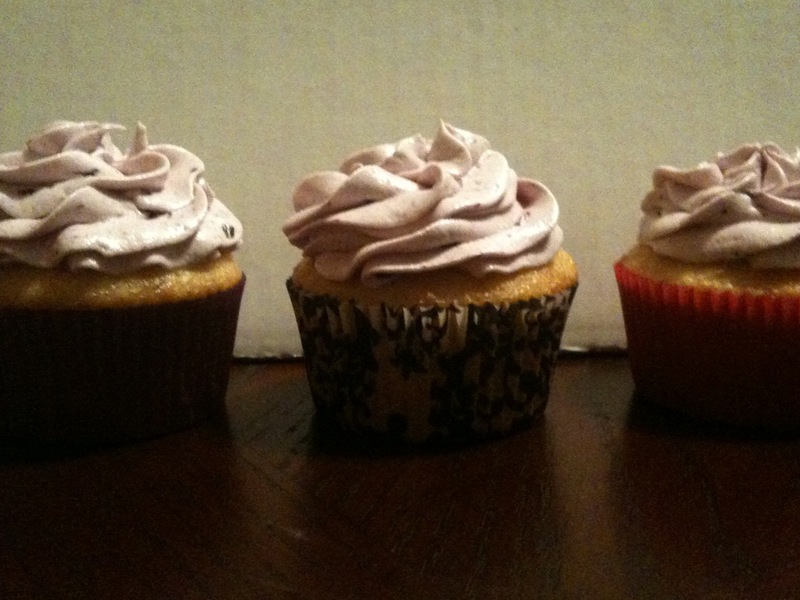 Voila, two-tone icing!! This trick is really easy and saves from a big mess!! I hope the birthday boy liked his cupcakes and had a great birthday!